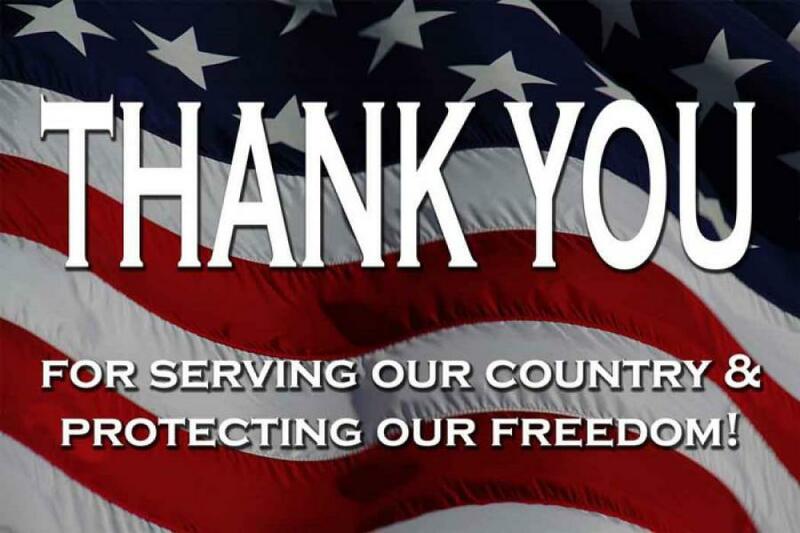 Veterans Thank You for Your Service, Sacrifice and for Serving Our Country and Protecting Our Freedoms! On Veterans Day we are reminded that freedom isn't free. The cost of our democracy- rights like the First Amendment, the right to vote, freedom of information and the right to a fair trial- comes at the hands of those risking their lives for us. Thank you, to the millions of veterans who have served and are serving our country. The United States Veterans Affairs estimates there are currently 20 million U.S. Veterans. To those who are currently deployed, our thoughts are with you and we hope you will return home safely. It takes a selfless person to give up a comfortable lifestyle, be away from family, stand ready to protect us at any time and give everything for our country. Aside from working to protect us overseas, Veterans aid in efforts at home. After several recent national disaters the military has come to the aid of American Communities and citizens. Furthermore, the armed forces help with security measures at home as well. Whether or not you agree on policy surrounding the military, understanding the cost of freedom is important. It is because of that freedom that we can debate, change or uphold policy that we agree or disagree with. On Veternans Day and all Days, let's all take a moment to honor our Veterans, whether that's through our words, donations of time or money or simply appreciating the ultimate sacrifice they make for us.